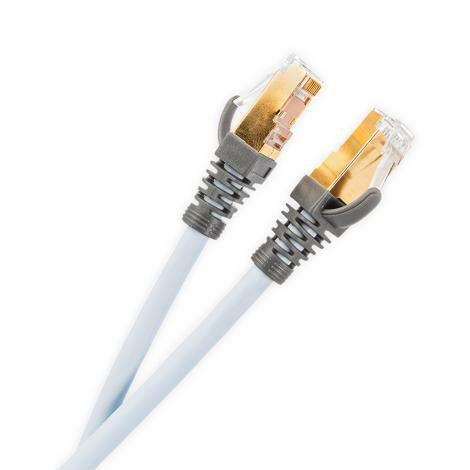 The success with the Sword loudspeaker cable lit an idea of designing an interconnect according to the same patented design concept. 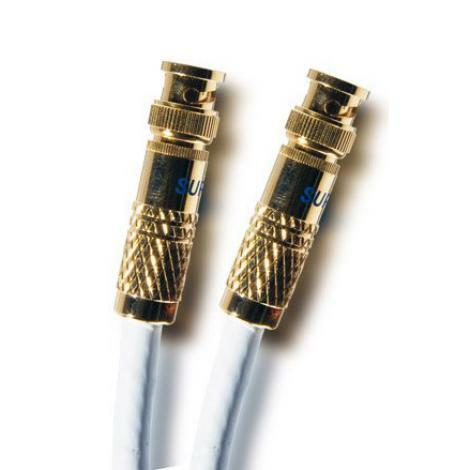 The cable works as a perfect signal carrier without the side effects of the traditionally designed cables, which display severe problems with frequency responce and phase shifting. Sword maintain the signal integrity with almost immeasurable deformation due to our freedom and ability to master the electro-physical layout, instead of compensating with mystery boxes and batteries. It is hard to beat the Sword series, regardless of price. 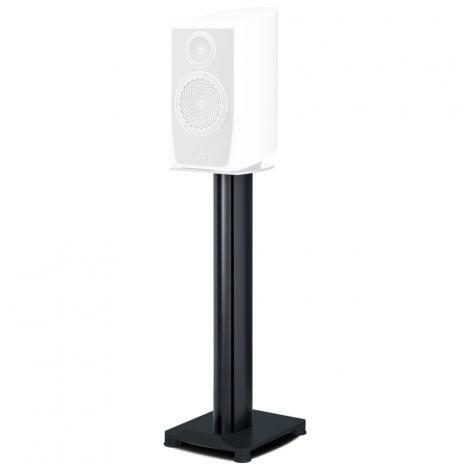 Available in single-ended (RCA) and balanced (XLR) version. The best description is nothing - Supra Sword does not sound at all. Supra Sword passes the complex music signal of an infinite number of sine waves and an infinite number of levels without causing any deformations between the source output to the receiver input. No part of the music suffer delay (phase shift), why the timing of each tone are exactly the same before and after. 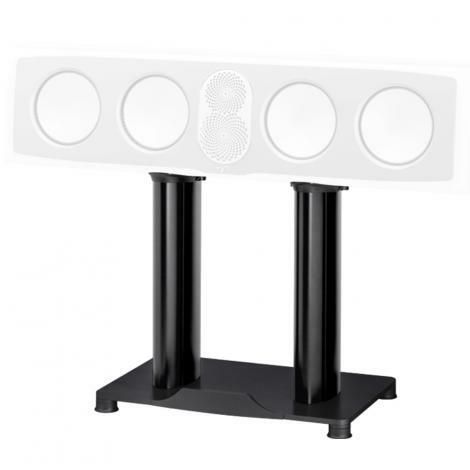 If every other hifi device in the system is capable of equally correct timing and preservation of the recordings' sound, the speaker setup and listening room acoustics is optimal, the result is such alive you can truly imagine being in the studio among the musicians. The Sword's lack of electrical properties ensures complete transparency. 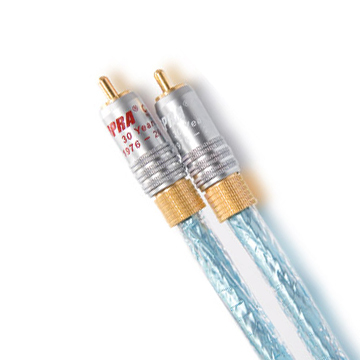 It is sometimes harder to distinguish a transparent cable from a cable with an apparent "sound lift" that emphasize certain notes. One will soon know however, when each album in the music collection exhibits the same sound style rather than the unique signature of every album/tune. 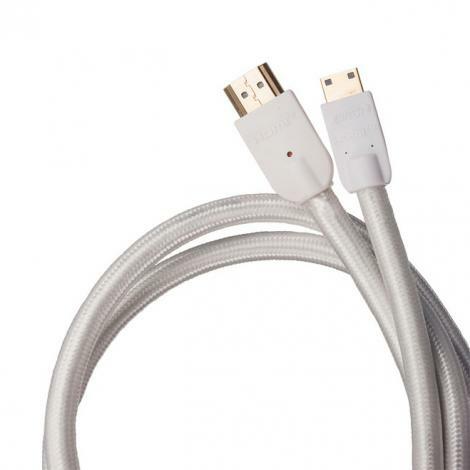 The figure to the right illustrates the cable design. 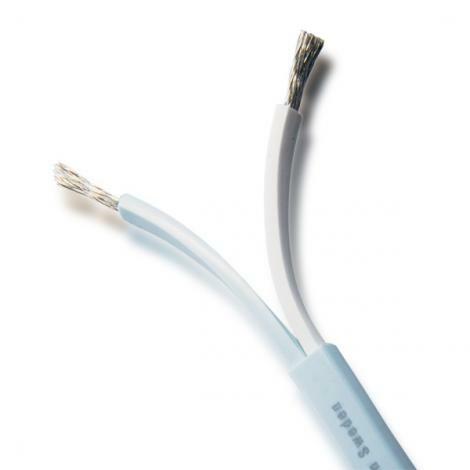 In each polarity conductor there are twelve individually insulated strands forming two layers, the inner six spun around an inner core, with high pitch in one direction, the outer six in the opposite direction separated from the inner layer by an extruded insulation layer. 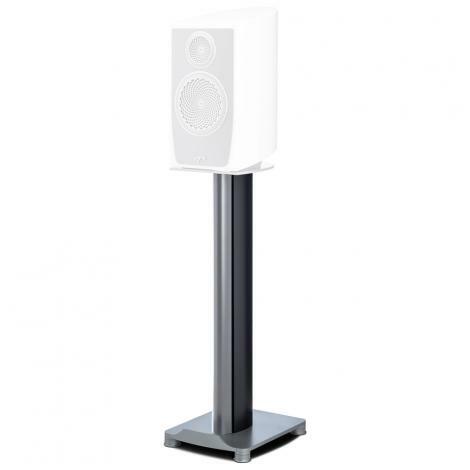 This strand orientation, efficiently counteracts all unwanted electro-physical properties, giving all audible frequencies uniform conditions internally and further, no open window for malicious noise to enter. The music will pass through sounding exactly the same. 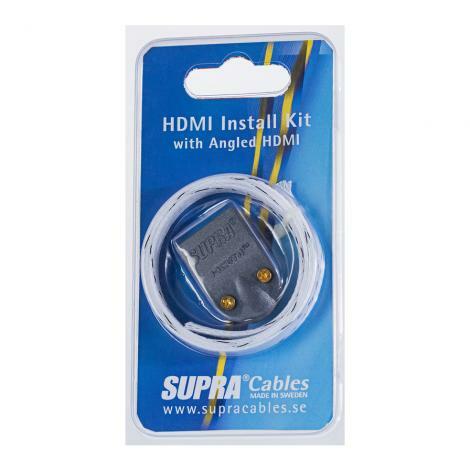 That is what distinguishes a completely transparent cable. 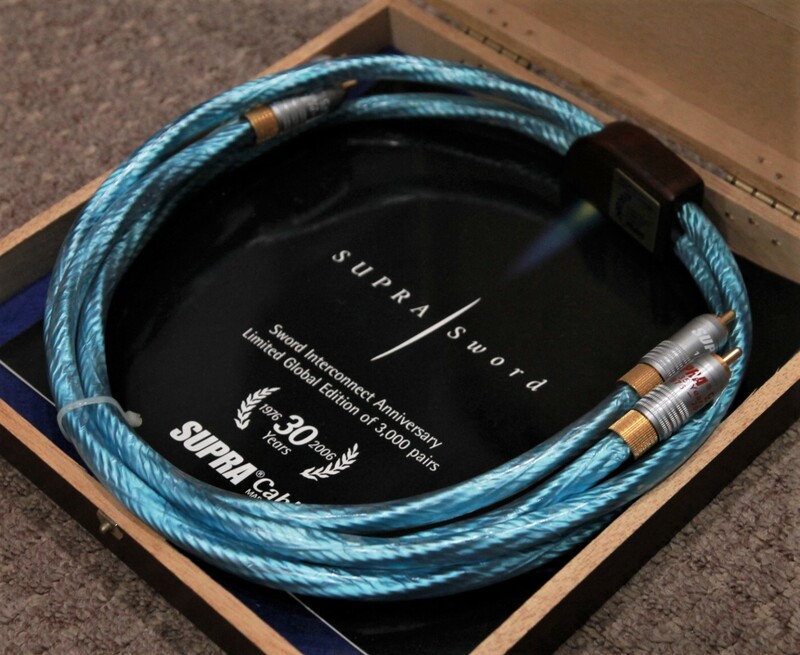 Our best analogue interconnect ever; Supra’s flagship. 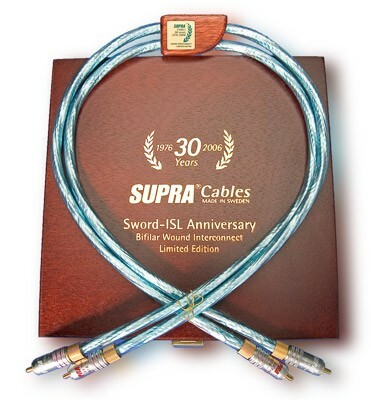 Sword–ISL is an interconnect pair with Supra RCA-8 anniversary plugs, made for analogue single-end applications. N.B. Sword does no longer include the wooden separator due to customers requirement. Too many perceived the wooden block to be an ocstacle when connecting and routing the cable.